Our wonderful friends at Beautiful Incentives reviewed the Handi Hanger and we are thrilled to share this fantastic giveaway with you! 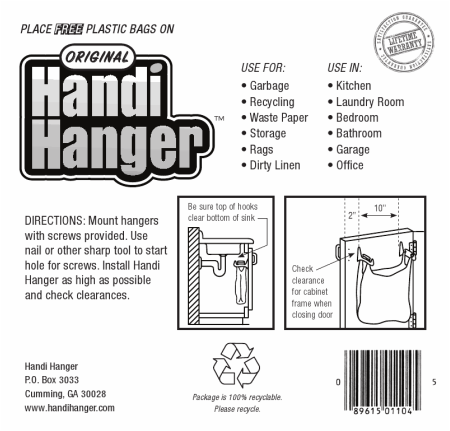 Beautiful Incentives called the Handi Hanger: "something so simple yet awesome." She tells us: "I could go for the unslightly nails in the wall , ugly stickies that won't hold up a dime, or I could go with the Handi Hanger! This completely eliminated my problem." A hidden trash area with plenty of hold. I love organization 'doohickies' and this has to be my favorite right now." Who wants one of their own? 12 lucky winners will! Enter Below and Good Luck!! Prize fulfillment is handled by the company, not the blog advertising this giveaway. I would use it in my camper. I would use it in my hallway bathroom. Thanks! I would use it in my cabinet in my kitchen to hold supplies. I would use it in the bathroom. 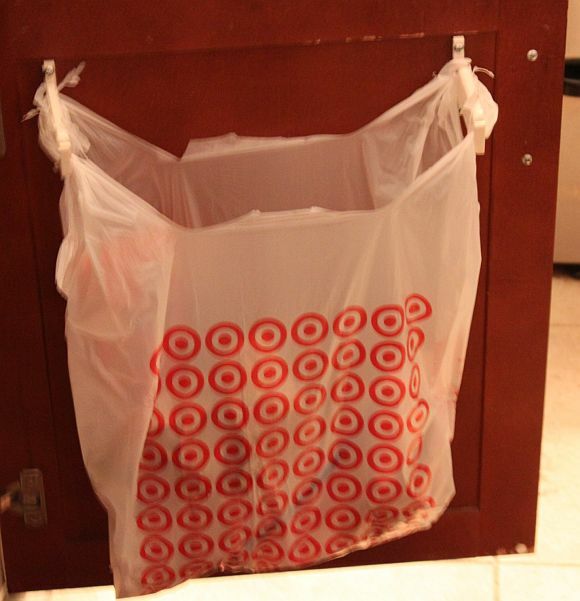 I keep a bag for recyclables hanging over the garbage can. Right now, it's just hanging from a nail. This would be much better! In the kitchen for me! I would most likely use it in the bathroom or in my bedroom closet. I would use it under the kitchen sink for recycling.